Provided in this section are a number of resources to help you with your observing. Whether you are a first-time stargazer, or a long-term amateur wanting to organise an event for others, we have resources to help you. If you are organising your own observing event as part of Galilean Nights, then the resources available in this section can be used as they are, or used as a starting point to create your own resources. If you create your own resources or modify existing material, then send your work in, to share with the rest of the Galilean Nights community. If you would like to volunteer to translate English lanaguage resources into your own language, or if you would like any of the resources on the website to be produced in your own language, then contact the Galilean Nights Chair, cmoloney@eso.org. 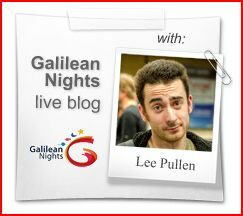 If you have created your own resources (posters, presentations, educational material etc) and would like to share them with the Galilean Nights community, then we would like to feature them on the website. E-mail your material, or a link to download the material, with an accompanying description to cmoloney@eso.org.